Where: Enroll in-person during business hours at the RPD Community House, or online at ridgeville.org. Wondering what to do on District 65 school improvement half-days? 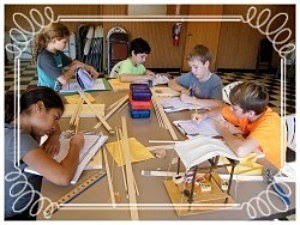 This workshop series is a fun, hands-on way to engage with STEM concepts with an added arts component. We will explore a variety of exciting topics at the different workshops including local ecosystems, light absorption and color, electrical circuits and more! You won’t want to miss this opportunity to get out of the house and learn more about the world around you. *Transportation is not provided by the park district. Students can come early with lunch from home to eat. S.T.E.A.M. Workshops start next week! 2nd and 3rd graders love our Flag Football program as a way to learn more about the sport this Fall! Come enjoy the Football season spirit with your child in a fun, safe environment. Saturdays 9-10:30am. Free clinic on Sept. 10! Come to this month’s pop-up at Elks Park in South Evanston! We’ll have tons of cardboard boxes, including huge refrigerator ones, tape, fabric, and lots of other loose parts for kids to build and play with. This pop-up is going to last longer to allow kids to play to their hearts’ content. We’ll be either in Elks Park or in Kay Lee tot lot, depending on where we’ll have more shade. Come join the fun! Thank you, Ridgeville Park District, for hosting us again! Details: Court supervisors will be organizing 3-on-3 games at Kamen Park, Reba Park and Ridgeville Park in tournament style on July 18 at 5 pm. The winning team from each park’s tournament will play in a championship tournament at Ridgeville Park on July 19. Refreshments will be served after the tournament. Come out Saturday, July 16 to Kamen Park 10am-2pm for fun for everyone! After an exciting Copa America, it’s a great time to celebrate “The Beautiful Game.” Enjoy fun and food with this event for the whole family! Click here for more information. 4 on 4 games for adults in three different brackets will play. Please register by Sunday, July 10! We’re looking forward to a great festival. 3 on 3 teams can register using the link above. Don’t wait, registration closes Sunday! There are age brackets for 30, 40 and 50 year olds. All proceeds go to the Ridgeville Foundation, a 501(c)(3) organization to support programming. Support local artists with unique products right here in Evanston. Shop for one of a kind jewelry, paper creations, toys and more! Along with our weekly Farmers’ Market, artists and crafters will set up shop on these days to share their work. Click here to learn more! As you look at the variety of summer camp options for your child(ren), we hope that you will consider what Ridgeville has to offer. For years, Ridgeville has provided kids with a fantastic summer experience, while staying true to its mission of being a safe, nurturing, and affordable option for parents. We take your child’s care very seriously and are committed to maintaining a child to counselor ratio that is no higher than six to one. We want our well-trained staff to be able to give each child the attention that he or she deserves. We also want to facilitate and encourage activities that allow all of our children to thrive in an environment that values their imaginative and creative input. our camps seem to grow in popularity each year and space is limited, so don’t wait to sign up! Spots fill on a first-come-first-serve basis. Nothing to do on a summer afternoon? Youth in the parks is a free drop-in program available in Elks, Reba, Brummel, and Ridgeville Parks. YIP offers free recreational activities to neighborhood kids. This new program allows 13-15 year-olds the chance to get real hands-on experience working with Ridgeville campers of various ages. Please fill out our application form! Applicants will be determined for a select number of positions. Indicate your preferences and describe your experiences on our form. Participation is $250/4 week session. Join Ridgeville Park District each year at the Community House for a Halloween event perfect for the whole family. Features a spine-tingling harvest display, musical performances, and of course, free treats! Thursday, Oct. 22nd, 2015, 4-5:30pm. The Arc TheatreThe Arc Theatre returns to Ridgeville Park for the sixth consecutive year! If you haven’t seen the work of this exciting company, you’re in for a real treat! Past productions include: A Midsummer Night’s Dream, Merry Wives of Windsor, Twelfth Night, and Romeo and Juliet. This will be Mudlark Theater’s fifth year as a participant in the Shakespeare on the Ridge festival. Past festival productions include: Twelfth Night, A Midsummer Night’s Dream, and Love’s Labour’s Lost. All shows take place on the East Stage at Ridgeville Park, adjacent to the Ridgeville Park District Community House (908 Seward St.). Shakespeare on the Ridge is performed under the stars. The show will continue through light weather interruptions and will only be suspended for safety reasons. Some chair seating will be provided, but patrons are welcome to bring their own blankets and chairs. Feel free to bring a picnic dinner and enjoy it throughout the show! This is a family friendly event. Although the partipants will all be adult men and women, kids are encouraged to come watch. There will be live music following the games (approximately 5pm) as well as culinary delights from Hummingbird Food truck. Mission: The Goals are not the Goal! The purpose of this festival is to celebrate the beautiful game of soccer and to celebrate the diverse group of people who play the game. Everyone who plays is a winner. Score will not be kept and there will not be referees. Everyone will play the same number of games. The tournament will provide a great opportunity to bring friends, family, and neighbors together to enjoy a festive day of soccer, food, and music. Ages: All players must be the appropriate age for the age group you are playing in. There will be three different age brackets (30+, 40+, and 50+). Uniforms: Ridgeville will not provide team jerseys. Teams are responsible for wearing some sort of unified color. Pennies will be available for teams who wear conflicting colors. Number of Players per Team: There is no maximum, but teams should show up with no less than four players. A healthy roster has five-six players. Extra players are required to ensure that games can continue if unexpected absences occur. Game Duration: 20 minutes straight. No halftime break. Every team is guaranteed at least three games. Substitution: Subs must come on at midfield and can happen any time the ball goes out of bounds or there is a stoppage of play. Kick offs: Kick offs may be kicked in any direction. Ball must be over the mid-line to score. No throw ins, all balls are kicked in from the sidelines. All kicks are indirect. Players must move 5 yards away from any indirect kick. The Goal Box: No one allowed in the goal box area. If ball stops moving in box, the defensive team can get it. Please do not play “goalie” and hang out in front of your goal. That is not in the spirit of the game. Slide Tackles: Absolutely NO slide tackles. All proceeds from this event will support the Ridgeville Cultural Development Foundation, a 501(c)(3) organization. To read more about the foundation, please click here! Help your child grow with dance classes for ages 2-14! Students develop lifelong skills and improve technique to be great dancers and movers. Classes run 9 weeks, March 23-May 29. When you enroll by March 30, you save $5 a day! 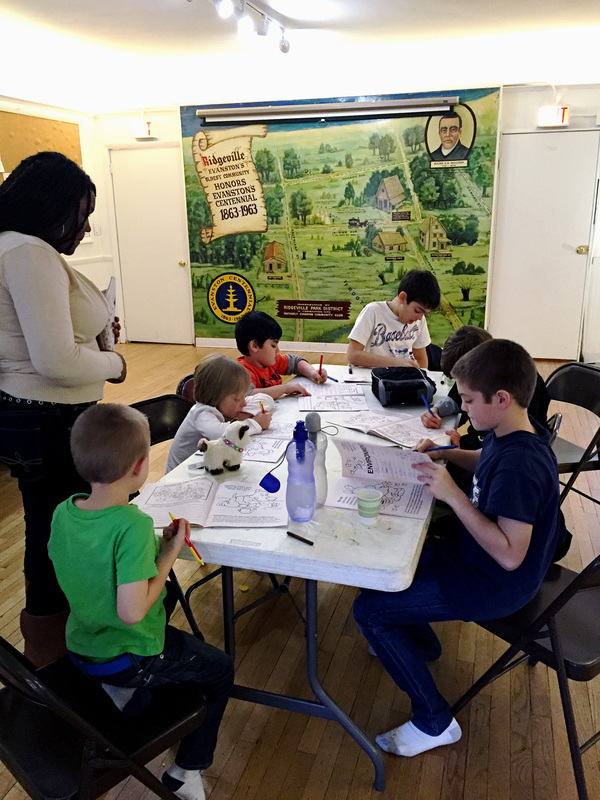 Make sure your kids have fun this spring break with the exciting activities at our camp. As you look at the variety of summer camp options for your child(ren), consider what Ridgeville Park District has to offer. For years, Ridgeville has provided kids with a fantastic summer experience, while staying true to its mission of being a safe, nurturing, and affordable option for parents. Staff will work hard to facilitate and encourage activities that allow children to thrive in an environment that values their imaginative and creative input. Space is limited, so don’t wait to sign up online or in person! Art projects, games, and activities organized by our dedicated staff. Extended care available at the beginning and end of the day. Save when you register before Dec. 12!! Classes start Jan. 12 and run for 9 weeks. An array of options for all ages featuring everything from Yoga to Fairy Ballet a Writing Workshop. Fall Classes start September 8th! Register now for Ridgeville’s Peanut Flag Football League! 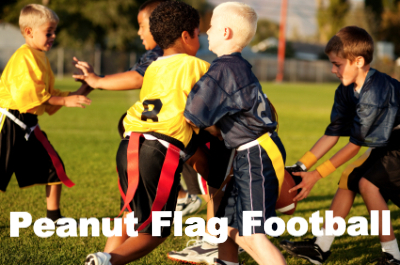 Designed to introduce kids to the fundamentals of flag football, this Peanut League will have minimal contact and focus on skill building and teamwork. Parents are encouraged to volunteer as coaches, assistants, and team-parents. To request a scholarship, click here.